Which is the Better Burger: The Pharmacy vs. Burger Up? There comes a time when Rand just doesn’t cut it, your debit card can’t afford the delicacies of M-Street and all you want is to inhale the best burger in town. 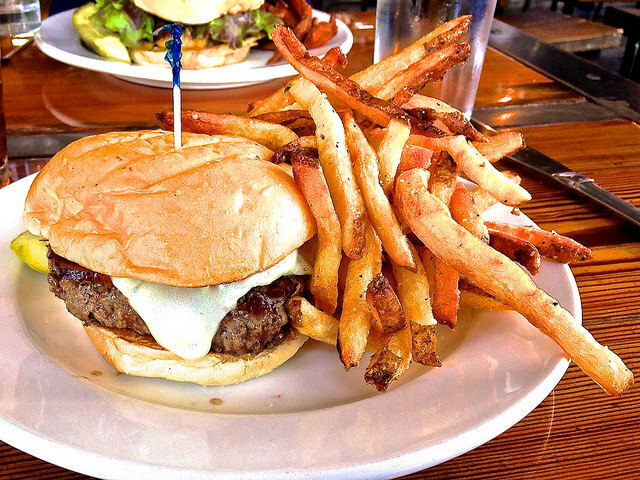 Ask your friends and you’ll spark a lively debate on whether The Pharmacy is the move… or maybe Burger Up? 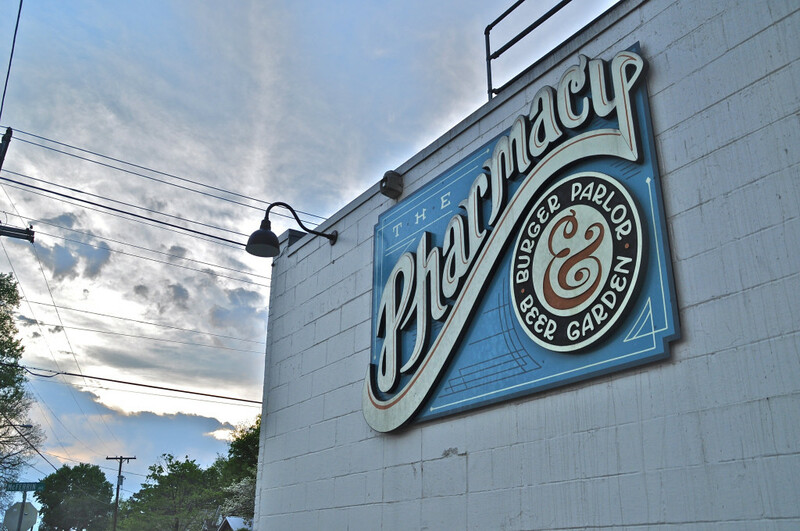 Atmosphere: The Pharmacy is picturesque at sundown, especially if you’re planning on insta-ing a shot in front of the iconic logo. If it’s not sweltering out, try sitting underneath the string of lights in the lush outdoor biergarten. Seating large groups: With their long wooden tables and benches on the porch, The Pharmacy can fit all ten of your closest friends if you don’t mind the lack of elbow room. 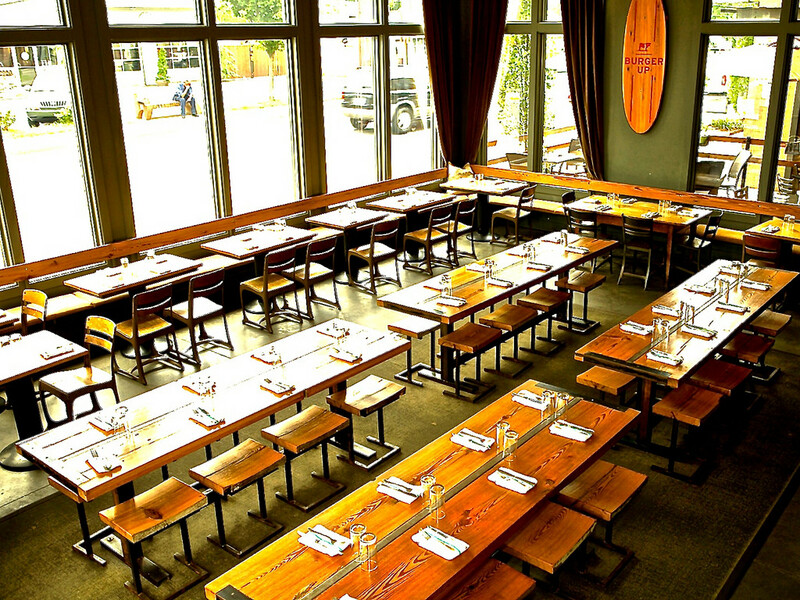 This establishment is a very hot spot for casual group dinners, as long as you go at the right time. Since they don’t take reservations, have a friend arrive early to put your name on the waiting list. Original drinks: From phosphates to natural sodas, Pharmacy goes the extra mile to create a collection of fun, frothy beverages with no preservatives, caffeine, corn syrup or artificial sweeteners. 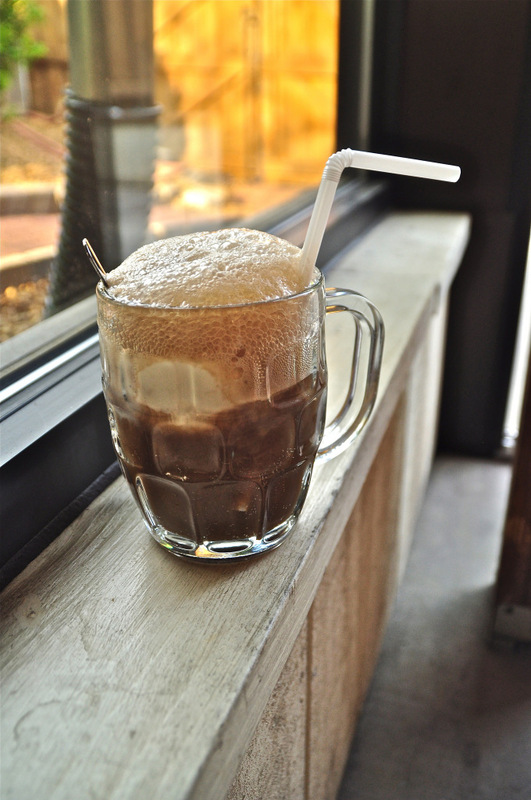 For dessert, don’t skip out on the floats, shakes and malts that are served in friendly glass mugs. What my friends would get: Farm burger, falafel burger, bratwurst and every other soda or milkshake on the menu. Pro tips: If you want to avoid the crowds all together, try going on a Monday, Tuesday or Wednesday or for an ambiguous meal at around 3 or 4 p.m. Really trust me on this one. There will be a two-hour wait and line down the sidewalk if you attempt to get in on a Saturday at 7 pm. Also, a car would be useful for the trek to East Nashville, instead of splurging on a pricey Uber ride. 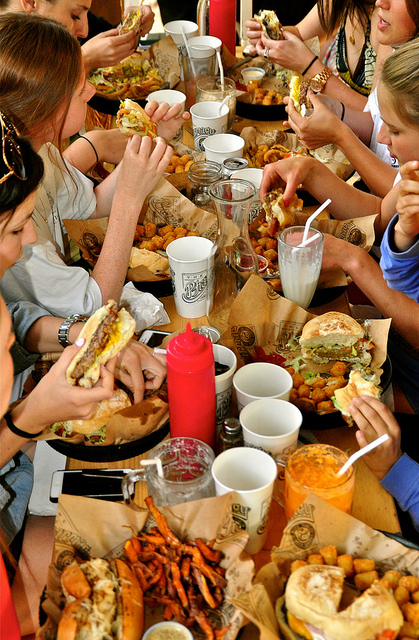 Convenient location: Situated in the middle of 12th South, Burger Up is much easier to swing by for Vandy students. There isn’t much of a lunch rush, but dinner is a different situation. Skip dessert and take a stroll down to Jeni’s Ice Cream for a one-of-a-kind treat and don’t be afraid to sample ten or more flavors (from my experience, they won’t stop you). Line out the door? No worries, it moves fast and is totally worth the wait. 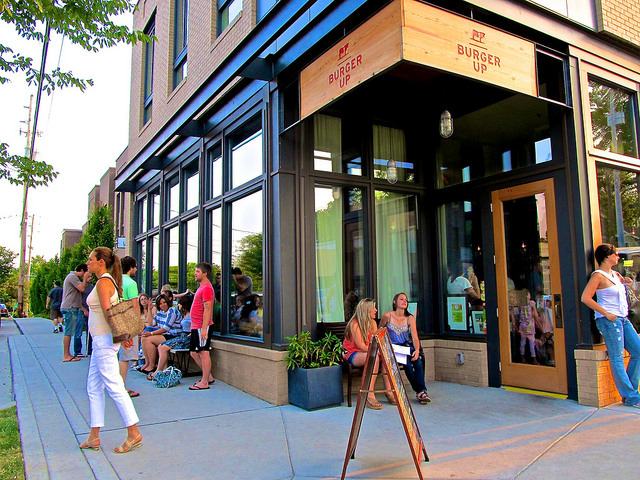 Good date spot: Whether you’re stopping by with a friend or your significant other, the evening vibe of Burger Up is really quite quaint. Dim lights, community tables and the small location is much more appealing for an intimate dinner, rather than inviting your entire hall. The burger: It’s better. I prefer their bun over The Pharmacy’s bun, although some of my friends call me crazy. Also, they offer a greater variety of burgers. They’re juicy, wholesome and oh so satisfying. You can even add my favorite topping… avocado, which for some reason The Pharmacy has not caught up on. What my friends would get: Fried pickles for an app, the Woodstock burger, black and blue burger or the chopped kale salad. Tips: Trying to be healthy? Well besides the fact that you’re reading about the best burgers in Nashville right now – Burger Up offers a gluten-free bun, steamed baby spinach as a side, or if you’re really going the extra mile, you can order a salad and get a burger patty on top. Regarding the true winner, it really comes down to what your goals are for the evening. But all in all, if you are in Nashville for four years and don’t get the chance to try out both of these stellar restaurants and make your own opinion, you’re doing it wrong.